Shared Email Classics: God Bless Mothers Who Drugged Us! God bless mothers who drugged us! I was drug to church on Sunday morning. I was drug to church for weddings and funerals. I was also drug to the woodshed when I disobeyed my parents, told a lie, brought home a bad report card, did not speak with respect, spoke ill of the teacher or the preacher, or if I didn’t put forth my best effort in everything that was asked of me. I was drug to the kitchen sink to have my mouth washed out with soap if I uttered a profane four-letter word. I was drug out to pull weeds in mom’s garden and flower beds and cockleburs out of dad’s fields. Those drugs are still in my veins; and they affect my behavior in everything I do, say, and think. They are stronger than cocaine, crack, or heroin; and, if today’s children had this kind of drug problem, the world would be a better place. I never know when, or from where, I’ll gain inspiration. most always when I’m looking for something else. Or, sometimes, a dear friend will send me a story or video, sometimes with a “Have you seen this one?” attached. That’s the case with this one: This is a commercial from Thailand, from the Thai Life Insurance company. I hadn’t seen it, but I’ve watched it many times since. Tagged inspirational commercials, inspirational videos, Thai Life Insurance, Thailand commercials, words for daily living. It was Friday … yesterday … and … it was the First Day of Spring 2015!!! I spent the last few days working on a new character … a comedy featuring our weather up here compared to the rest of the country. I thought it was really funny, and, had set up the cameras to do the video … worked on the script and camera angles … However … I decided against it … I felt like it may have been taken as making fun of New Hampshire, and casting the wrong “light” on those who live up here in the Great North Woods … It was pretty funny stuff, but I thought the idea of portraying “if you think you’ve got it bad … you should be here” may be taken the wrong way, as a negative about living up here. The fact is, it is beautiful up here, and the fact that we get good weather on so rare occasions makes us really appreciate the good weather we do get. 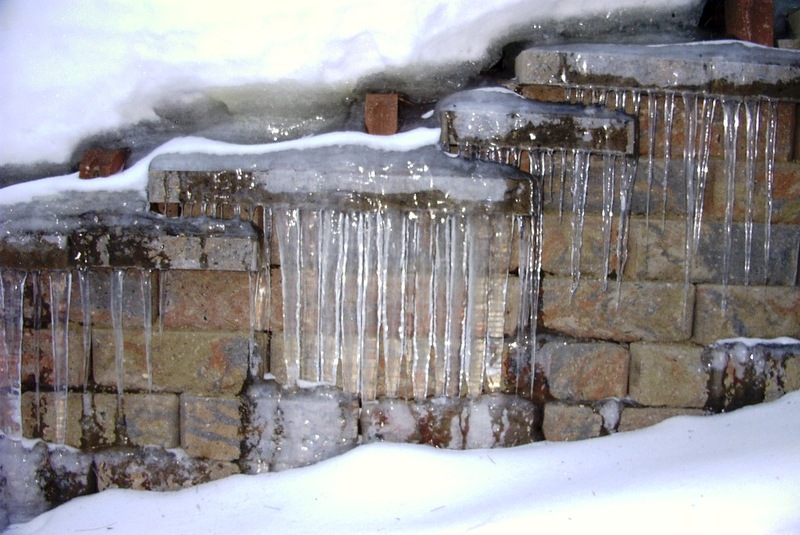 We really do look forward to the change of seasons … especially the “Spring to Summer.” I have traveled, and lived, in many different parts of the United States, and there is one thing they all share in common: They wish the Winters were shorter, and the rest of the seasons were longer. So, we share that common bond with everyone. Plus, I’ve never lived anywhere that people were happy with the weather all the time. Too hot! Too cold! Too rainy! And, how about that humidity? I really do understand why weather is always a topic of discussion, regardless of where you live. I must also say that there are many people I’ve met who … let’s face it … aren’t happy anywhere … And, won’t be. God has placed people all over the country, all over the globe, really … and, as long as you are “in the right place,” that’s all that matters … not the weather. It’s true: You can be miserable anywhere! 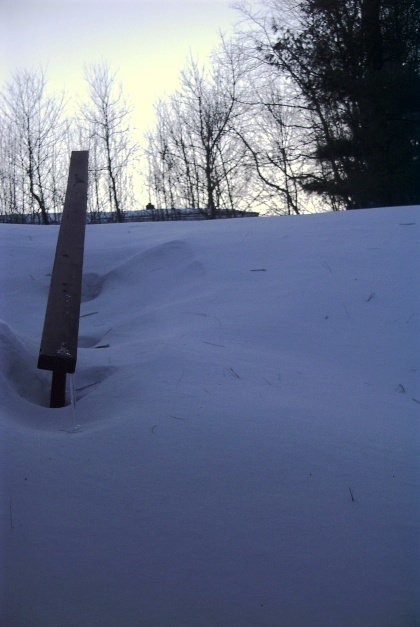 Our back steps: Looks like we’ll have to find another way up. 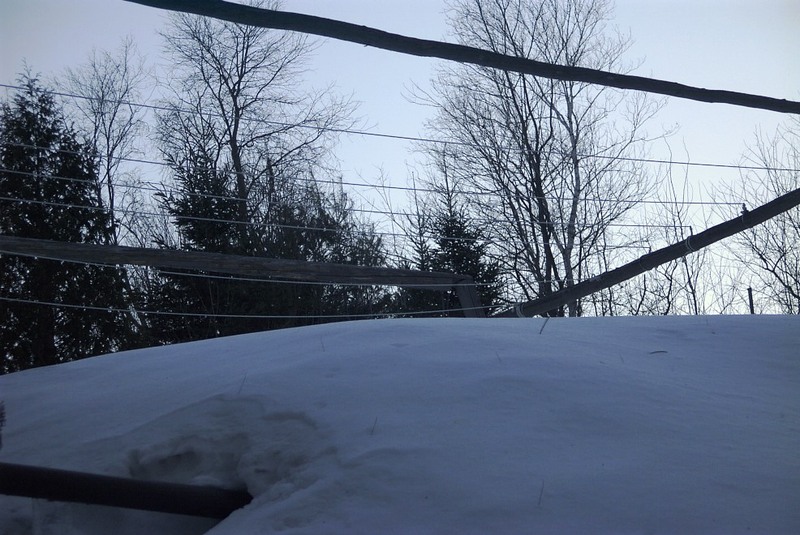 Our Clothesline: Better double-check to make sure the dryer is working. Did I mention this is the first day of Spring? Did I mention this was the first day of Spring? 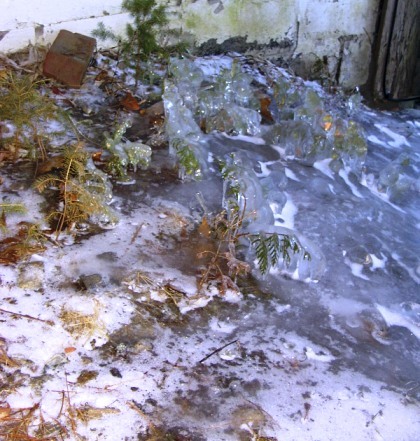 These are young pine trees trying to come up … they are completely covered in ice, but growing! A better picture of the trees. 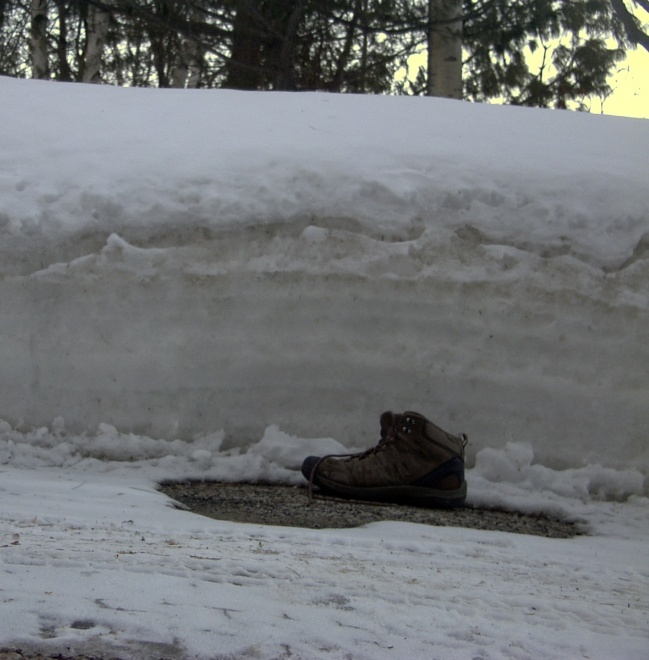 I always have a picture of my boot, to use for “scale.” This is the other side of the driveway (opposite wall). Note that, due to consistent slow-blowing, the sun was able to “break through” to the pavement. 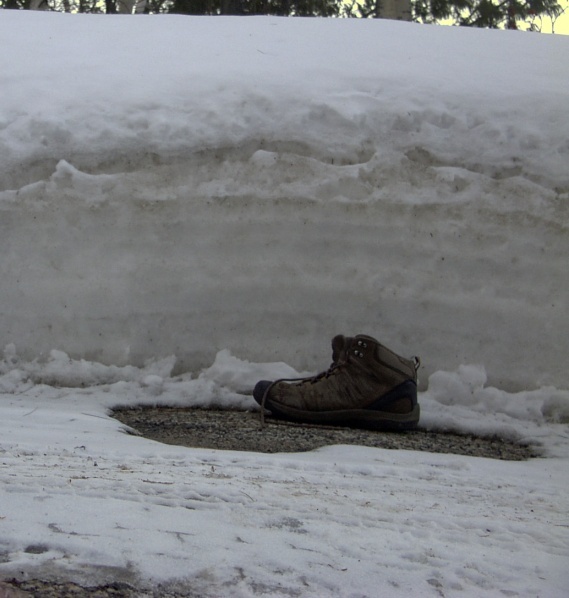 These boots have walked all over, from Georgia to New Hampshire. I can’t wait to go barefoot all Summer! Guess I should have waited, though, to take these off. 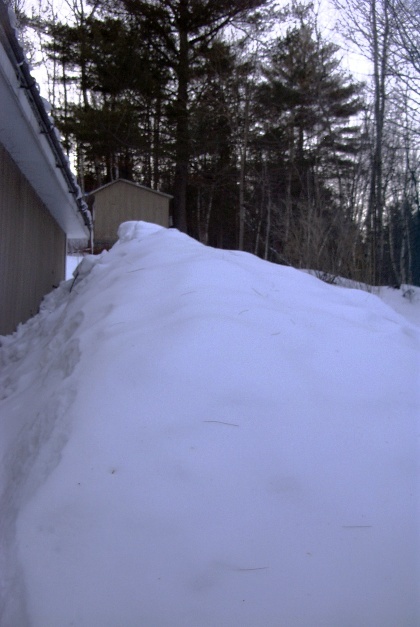 I always have a picture of how high the snow is, relative to the roof of the garage. Look at this! 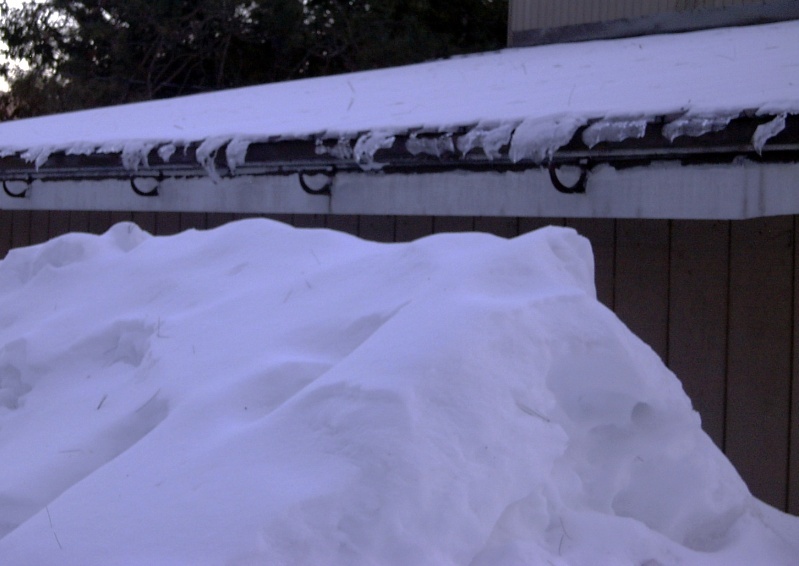 Why … It’s up to the roof! 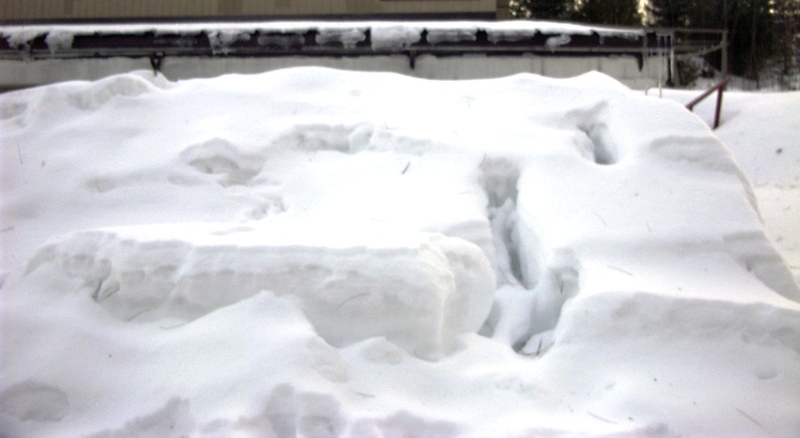 I’m so glad we didn’t get as much snow this year! 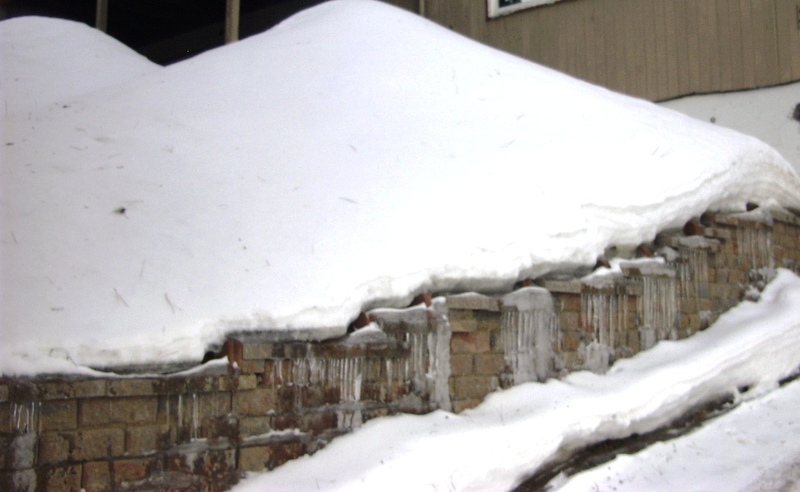 You can see the back steps and the clothesline to the right: It’s finally Spring!!! 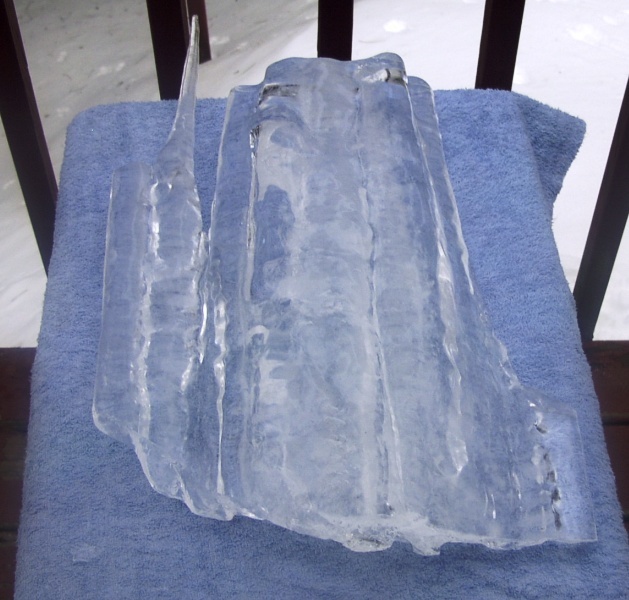 Earlier, I wrote a story about why the snow was white. 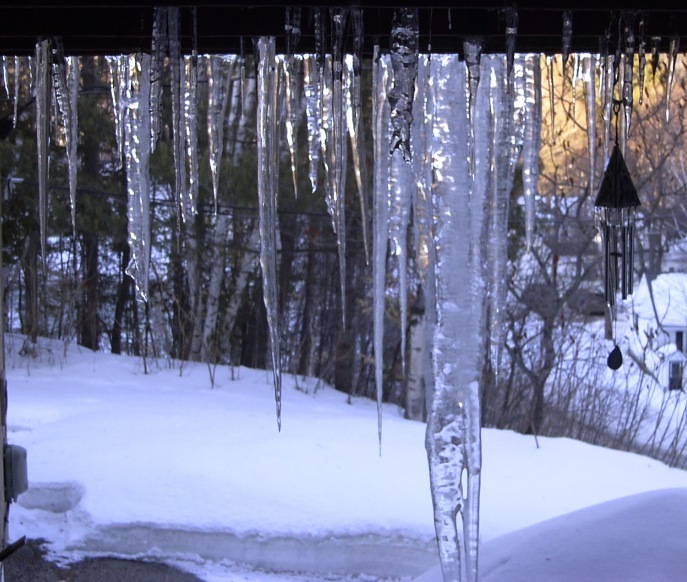 Thought I’d research about icicles … but, just couldn’t get interested in the “behind the scenes” story … But I took lots of pictures of icicles. 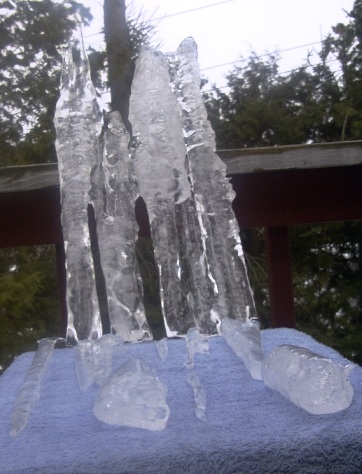 These are baby icicles … ooohhh!!! Another shot for scale. 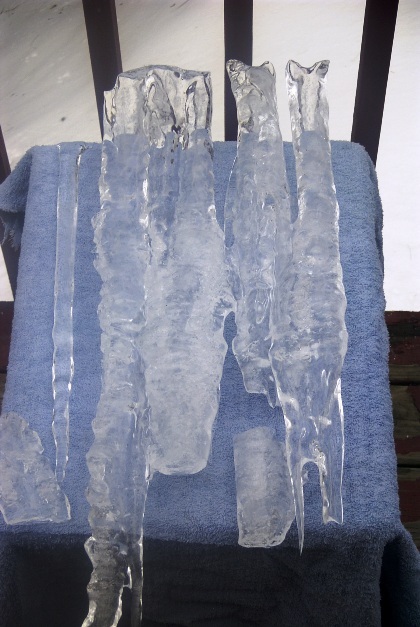 This is about 8 feet long. This is the whole family! 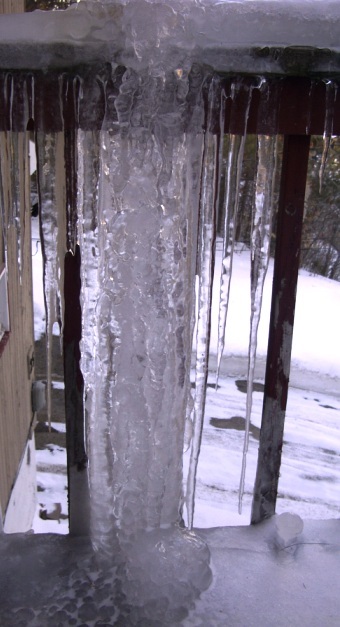 This is the largest one so far … hanging from the roof, over the front porch …10 feet long. 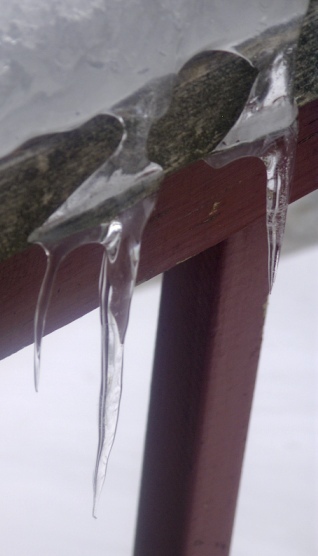 This is from the front porch railing … We don’t call it an icicle … we call it a post! side by side. That inspired this picture. Again, to show scale. Well … it is a nice collection! 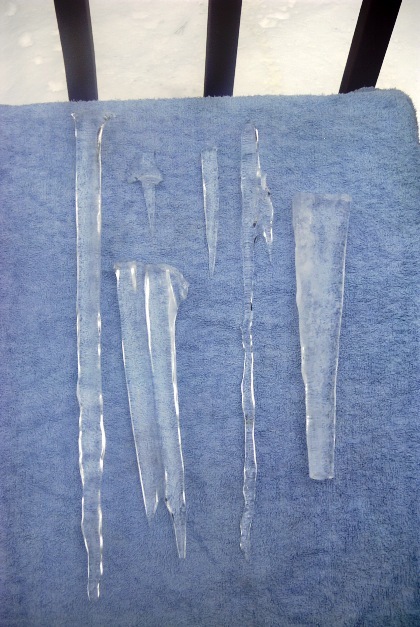 Another view showing the thickness of the icicle … And … by the way … the towel is from our Spring Collection!!! Boy! That’s a nice towel! 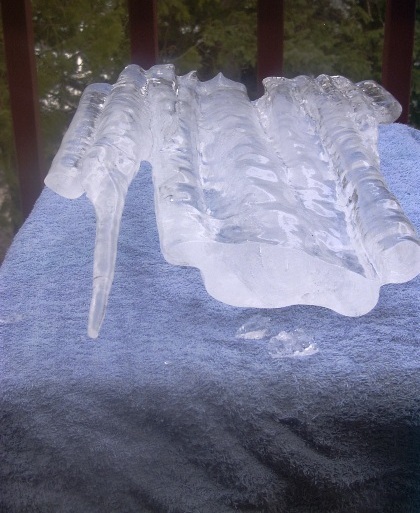 Both the icicle-and the towel-really stand up nicely. Hope Carol doesn’t see this! Richard Wurmbrand dared to proclaim his loyalty to Christ rather than bow to a government hostile to the gospel. For this, he spent a total of 14 years in prison, two of those years alone in a solitary cell. As he sat alone, he dreamed of a mission that would one day help Christians like him. Pastor Wurmbrand would be the one person who would tell the world the truth about Christianity behind the Iron Curtain. Millions of people have been touched by his story. We are proud to support the work and ministry of “Voice of the Martyrs,” and would like to share in the opportunity to have Richard Wurmbrand’s book “Tortured for Christ” sent to you, and your friends, absolutely free of charge. Months of solitary confinement, years of periodic physical torture, constant suffering from hunger and cold, the anguish of brainwashing and mental cruelty – these are the experiences of Richard Wurmbrand, a Romanian pastor, during his 14 years in Communist prisons. His crime, like that of thousands of others, was his fervent belief in Jesus Christ and his public witness concerning that faith. Meeting in homes, in basements, in the woods – sometimes daring to preach on public street corners – these faithful souls persisted in their Christian witness knowing full well the ultimate cost of their actions. Tortured for Christ is their story – a classic account of courage, tenacious faith and unbelievable endurance. This history of the Underground Church reflects the struggle in many parts of the world – a struggle that continues to this day. Indeed, the message of “Tortured for Christ” remains urgent and relevant today, as thousands of Christians are still being persecuted and tortured around the world today, suffering solely for their belief in Jesus Christ. Please click on the link below, which will take you directly to the Voice of the Martyrs webpage, where you can order a copy of the book for yourself, and have copies sent to your friends. Please note that, along with the book, they will also receive a free subscription to The Voice of the Martyrs monthly newsletter. Richard Wurmbrand was the youngest of four boys, born into a Jewish family on March 24, 1909, in Bucharest, Romania. As an adult, he was intellectually gifted, being fluent in nine languages. Richard was active in leftist politics and worked as a stockbroker. On October 26, 1936, Richard and Sabina were married, and both converted to Christ in 1938. 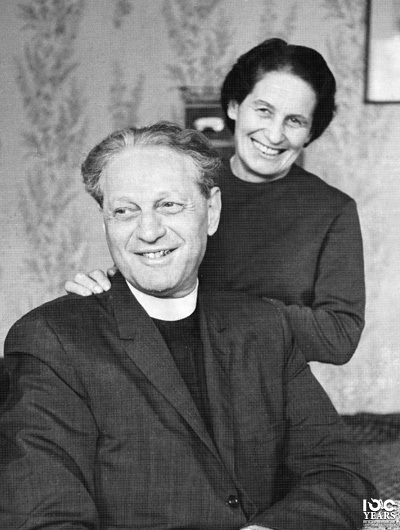 They both joined the Anglican Mission to the Jews in Bucharest. 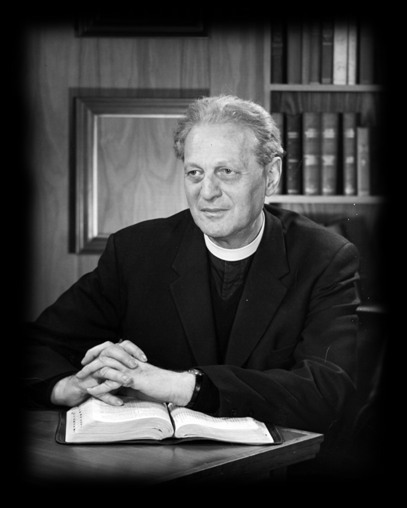 Richard was ordained, first as an Anglican, and then after World War II, as a Lutheran minister. During World War II, Richard and Sabina saw an opportunity for evangelism among the occupying German forces. They preached in the bomb shelters and rescued Jewish children out of the ghettos. Richard and Sabina were repeatedly arrested and beaten and, at least once, nearly executed. Sabina lost her Jewish family in Nazi concentration camps. In 1945 Romanian Communists seized power, and 1,000,000 Russian troops poured into the country. Pastor Wurmbrand ministered to his oppressed countrymen and engaged in bold evangelism to the Russian soldiers. That same year, Richard and Sabina Wurmbrand attended the Congress of Cults organized by the Romanian Communist government. Many religious leaders came forward to praise Communism and to swear loyalty to the new regime. “I don‘t wish to have a coward as a husband,” she replied. Thus Richard declared to the 4,000 delegates, whose speeches were broadcast to the whole nation, that their duty is to glorify God and Christ alone. Between 1945 and 1947, Richard distributed 1 million Gospels to Russian troops. Richard also smuggled Gospels into Russia. On December 30, 1947, the People’s Republic of Romania was proclaimed. 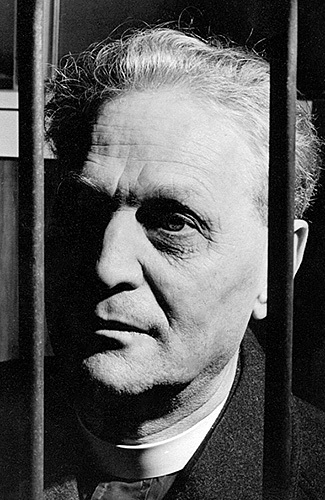 In 1950, his wife Sabina was also imprisoned. She was forced to serve as a laborer on the Danube Canal project, leaving their nine-year-old son, Mihai, alone and homeless. Richard was released in 1956 after serving eight-and-a-half years in prison. He was warned never to preach again. While in prison, he went through horrific tortures at the hands of the brutal secret police. Despite the treatments and the warnings he received from his persecutors, Richard resumed his work with the “underground” churches after his release. He was re-arrested in 1959 through the conspiracy of an associate, and sentenced to 25 years. He was accused of preaching ideas contrary to Communist doctrine. Due to increased political pressure from Western countries, Richard was granted another amnesty and released in 1964. In December 1965, the Norwegian Mission to the Jews and the Hebrew Christian Alliance paid $10,000 in ransom to the Communist government to allow the Wurmbrand family to leave Romania. Reluctant to leave his homeland, Richard was convinced by other underground church leaders to leave and become a “voice” to the world for the underground church. Richard, Sabina, and their son Mihai left Romania for Norway and then traveled on to England. Richard began his ministry of being a voice for persecuted Christians in England with Rev. Stuart Harris. Later, Richard moved on to the United States, and in 1966 he appeared before a U.S. Senate Internal Security Subcommittee, where he stripped to the waist and revealed 18 deep torture wounds on his body. His story spread rapidly, leading to more and more speaking engagements. In 1967, the Wurmbrands officially began a ministry committed to serving the persecuted church, called Jesus to the Communist World (later renamed The Voice of the Martyrs). In the same year, Richard released his book, Tortured for Christ. In October, 1967, the first monthly issue of The Voice of the Martyrs newsletter was published in the U.S. By the mid-1980s his work was established in 80 restricted nations with offices in 30 countries around the world. In 1990, after the fall of Nicolae Ceausescu in December 1989, Richard and Sabina returned to Romania after 25 years in exile and were warmly received. A printing facility and bookstore were opened in Bucharest, and the officials of the city offered to store Christian books in a room below the palace of Ceausescu, the very site where Richard had been held in solitary confinement. During his ministry, Richard wrote 18 books in English and others in Romanian, some of which have been translated into 38 different languages. Richard retired from the day-to-day work of The Voice of the Martyrs in 1992, but he continued as a consultant and member of the board of directors, maintaining a keen interest in the work until his death in 2001. 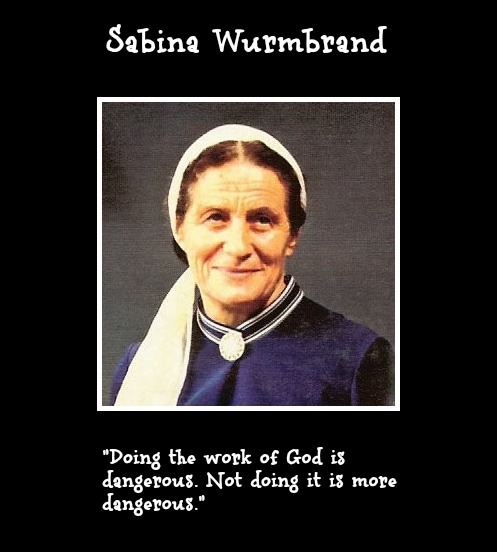 Sabina Wurmbrand, who passed away August 11, 2000, is remembered as a woman of great integrity, a student of the Scriptures, a mighty faith warrior, and a true help mate to her husband. I encourage you to pray-every day-for our persecuted brothers and sisters in Christ around the globe. Christians are the most persecuted religious group worldwide. The number of Christians who are killed because of their faith is staggering. In my research, the numbers reported by various agencies or sources varied greatly … but … even the lowest estimate of Christians who have been killed for their faith is … well … staggering. Christians in more than 60 countries face persecution from their governments or surrounding neighbors simply because of their belief in Christ (Source: U.S. Department of State). One of the worst countries in the world for the persecution of Christians is North Korea. With the exception of four official state-controlled churches in Pyongyang, Christians in North Korea face the risk of detention in the prison camps, severe torture and, in some cases, execution for practicing their religious beliefs. North Koreans suspected of having contact with South Korean or other foreign missionaries in China, and those caught in possession of a Bible, have been known to be executed (Source: Christian Solidarity Worldwide). More Christians were martyred in the 20th century than in all other centuries combined [christianity.com]. North Korea: in 2015 it continues to be the worst country in the world for persecution. Iran: Its parliament believes Muslims who change their faith should be put to death. “If they persecuted Me, they will also persecute you …” (John 15:20). It is amazing to me how little, in the United States, we even hear a casual mention of the atrocities facing the church around the globe. Unless we subscribe to certain news feeds or reports, we just don’t hear much about it … I wonder why that is? Please continue to pray for those “that are in bonds, as bound with them; and them which suffer adversity, as being yourselves also in the body.” We are, after all, members of the same body. I have always heard that animals and kids were the best judges of character, and what you will see, I think, strongly reinforces that. There are many verses in Scripture which speak of how to treat animals, which Carol used to remind me of, quite often, when our household included cats. Psalms, Proverbs, and Ecclesiastes, for example, all speak of this. Jane Goodall is a primatologist most known for her long-term study of wild chimpanzees in Tanzania. 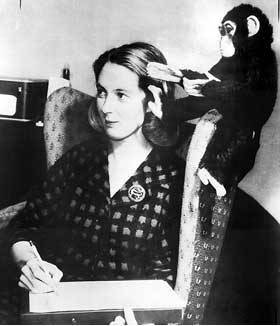 The Gombe chimp observation, which Jane began in 1960, is the world’s longest running continuous wildlife research project. Through her Jane Goodall Institute, she has become equally well known as a conservationist and a champion of human rights. The older of two sisters, Jane Goodall was born on April 3, 1934, in London, England. 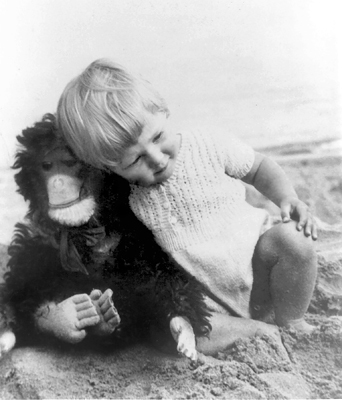 Jane Goodall loved animals even as a child. When she was just over one year old, her father gave her a toy chimpanzee, which she named Jubilee. She carried Jubilee with her everywhere. Today, over 75 years later, Jubilee – now completely bald from so many hugs – sits on Jane’s dresser in England! Her dreams of Africa began with reading the “Doctor Dolittle” books by Hugh Lofting. When Goodall was eighteen she completed secondary school and began working. She worked as a secretary, as an assistant editor in a film studio, and as a waitress, trying to save enough money to make her first trip to Africa. Jane Goodall finally went to Africa when she was twenty-three years old. Through her writing and television appearances, Jane became an advocate for conservation, education, and human rights. 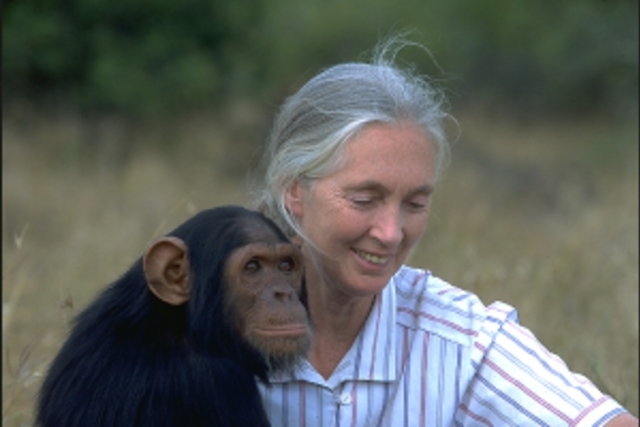 In 1977, she founded the Jane Goodall Institute, a global non-profit organization. The institute is active in promoting health and conservation in the local communities surrounding the chimpanzee habitats. Jane Goodall’s Roots & Shoots, which Jane started with a group of Tanzania students in 1991, is today the Institute’s global environmental and humanitarian youth program for young people from preschool through university with nearly 150,000 members in more than 120 countries.